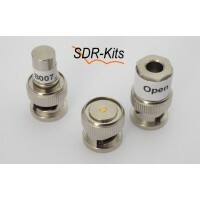 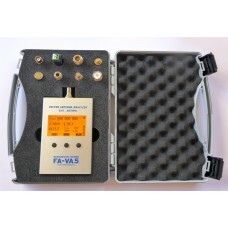 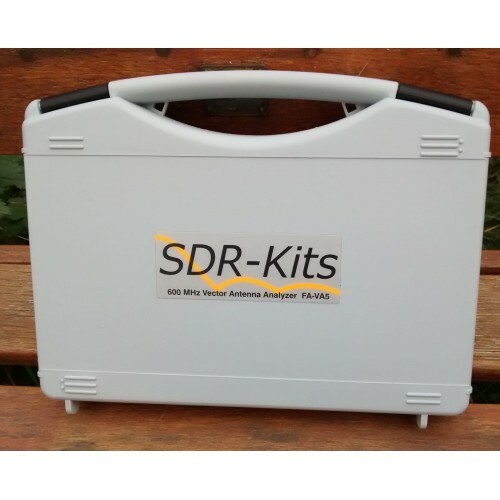 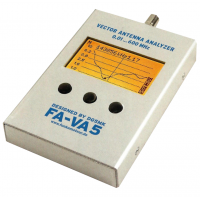 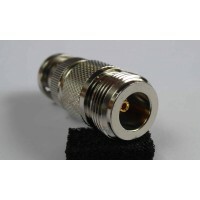 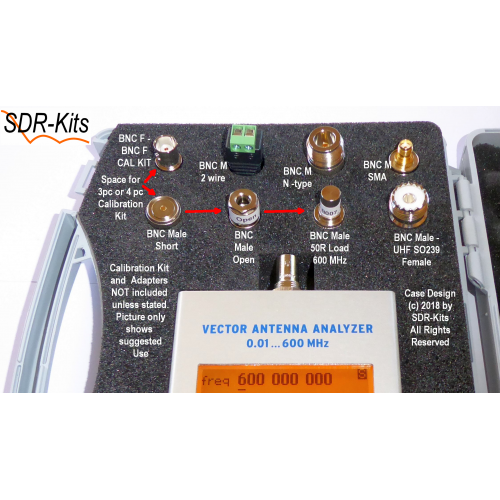 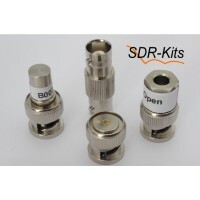 Keep your VA5 Antenna Analyzer safely stored and ready for use when you need it! 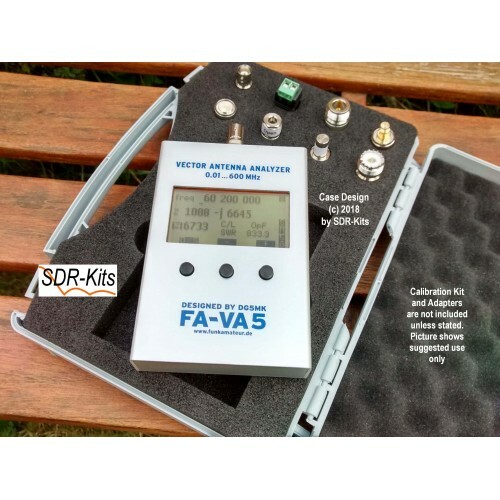 Custom Interior keeps VA5 protected, with space for either the 100 MHz or optional 600 MHz BNC Calibration kits (or both), as well as adapters. 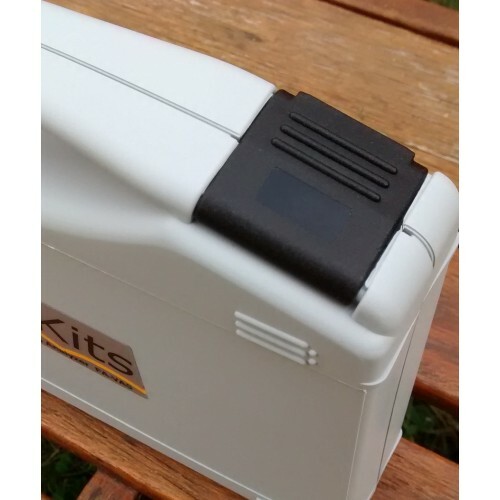 The cut foam inserts are all included with the case, allowing the foam to be trimmed for seating the BNC Adapter parts at the right height. 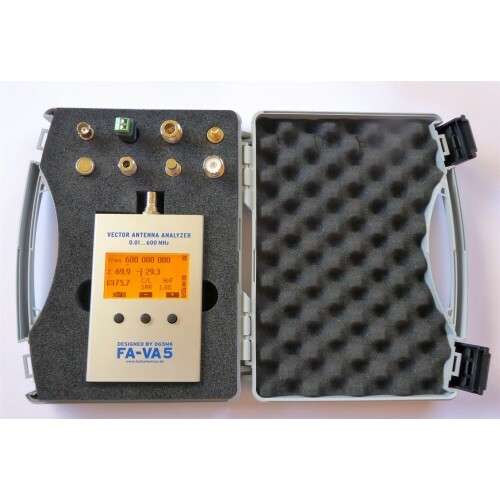 Under the custom foam interior, there is sufficient space to store the VA5 manual if desired, provided the height of the VA5 Manual is reduced to 13.6mm height by guillotining a small strip from the top and bottom.. Also the BNC Calibration kit datasheet can be stored here.